Looking for a fun and unique Halloween experience? If you already know where to stay near Los Angeles, come out to Eek! At the Greek! Featuring Symphony in the Glen. The event is presented by the Children’s Hospital of Los Angeles and takes place on Saturday, October 25! 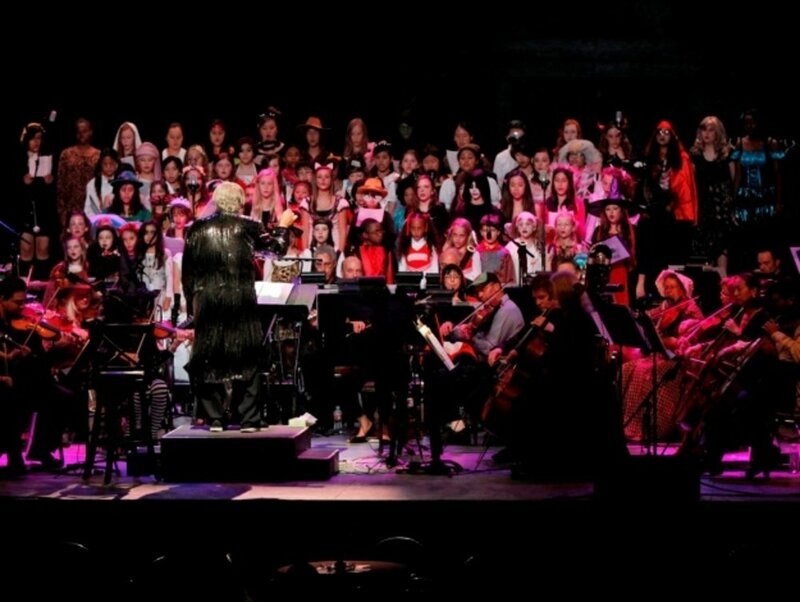 Come to the Greek Theatre to enjoy a variety of Halloween themed events, such as a dramatic reading Edgar Allen Poe’s work, haunting music played by the symphony and even fun activities for your children! Tickets are on sale now. Starting the festivities will be the Trick or Treat Village, where you can bring your family to a safe trick or treating opportunity. Dress up your kids in their costumes and come out to this event that they are sure to love. In addition to trick or treating, there will be other activities such as face painting, Halloween themed arts and crafts, a costume contest and more! The Trick or Treat Village fun will be from 4:30 pm – 6:30 pm and the costume contest will begin promptly at 4:30 at the front plaza. After the Trick or Treat Village, stick around for more events starting at 7 pm! Special guest Bruce Boxleitner, who starred in Tron, Tron Legacy, and The Gambler to name a few films, will be performing a reading of Edgar Allan Poe’s classic horror story, “The Tell-tale Heart.” After the reading, listen to fantastic music performed by a 60 piece symphony! They will be playing a variety of music pieces, such as pieces from the movie “Psycho,” “Infernal Dance” by Igor Stravinsky from the Firebird, the Devil Dance by John Williams and Danse Macabre by Camille Saint-Saens. As a special event that will be exclusively performed this night, you will see the world premiere of the live performance of Skeleton Dance, a cartoon from Disney’s “Silly Symphonies” which was released in 1929. The cartoon will be accompanied by the orchestra playing the original music by Carl Stalling.